I’m not quite sure how it happened but I didn’t post for last week (oops!). Sometimes things get very busy and, if I’m not sticking to my regular schedule, some things just fall off the list..
My daughter had torn her school skirt quite badly. Although I bought her a replacement skirt from M&S she was quite happy with the hand-me-down pinafore dress that was already hanging in her wardrobe. So I returned the M&S skirt and saved £12! I had a bit of a sort out and donated a couple of bags to charity shops. I finally got my baking mojo back and baked some cakes last week. One batch of fairy cakes has been frozen to use for lunch boxes later in the month. On Saturday we held the last ever Corsham Repair Cafe 😦 We have been running the cafe for the past four years (see here) and I am very proud of the work that we have done: nearly 200 customers have been helped; roughly 150 repairs have been made; and we’ve shown the local community that items can be repaired, rather than just thrown away. But, over the past year, volunteers and customer numbers have dwindled and, now that I don’t work in Corsham, it’s harder to find the time to organise and promote. So we took the sad decision to close the cafe. However I’m delighted that, since Corsham opened its Repair Cafe in 2013, we now have regular Repair Cafes running in Bristol, Bath and Bradford on Avon. Corsham also has an active Men’s Shed who are able to take repairs on too. I do feel slightly relieved (although also sad) that we’ve taken this decision. I really enjoyed catching up with the volunteers who gave their time, effort and skills to help mend broken items. But I am also looking forward to having more free time – maybe to pursue a new green hobby?! 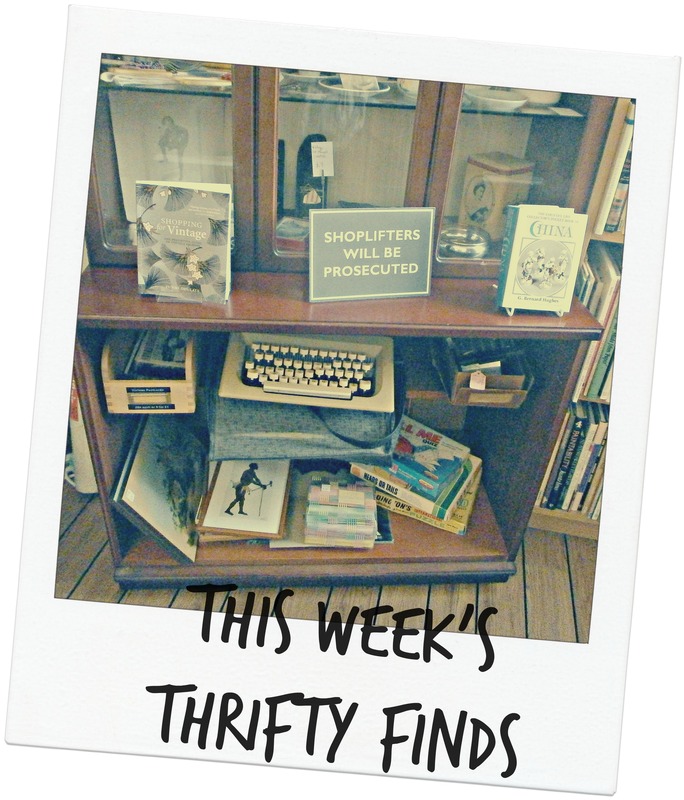 Don’t forget to share your Thrifty Finds too! I do love to read them.